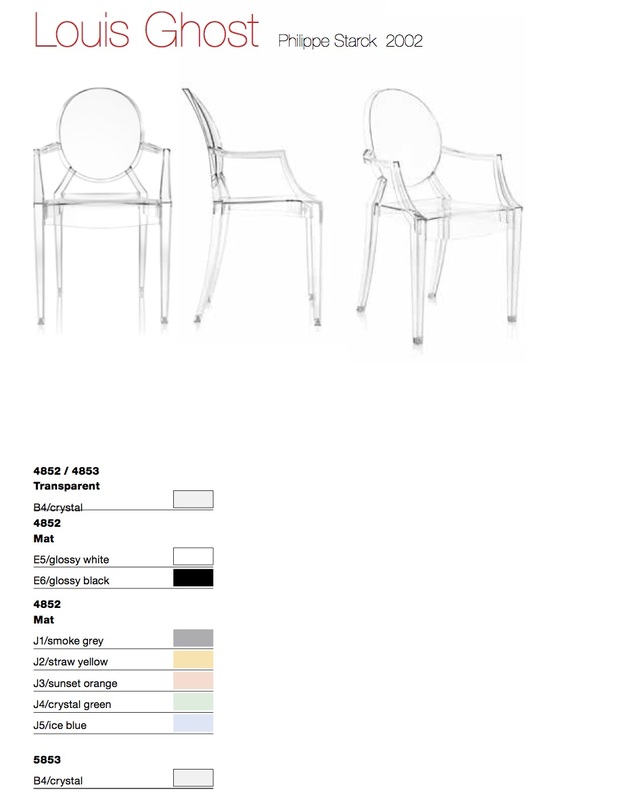 The Louis Ghost Chair by Philippe Starck has become an iconic must have. 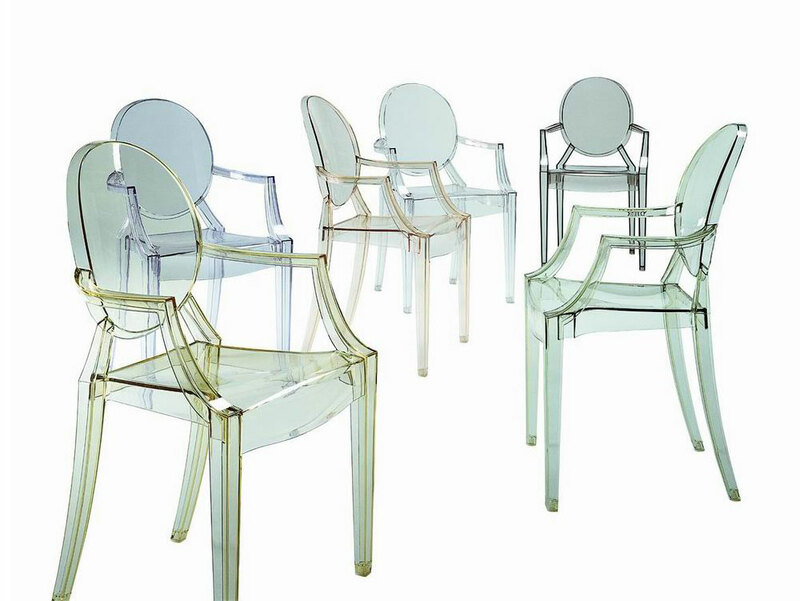 These contemporary Louis Ghost Chairs designed by Philippe Starck for Kartell are a masterpiece in design engineering made from an injection mould polycarbonate. While it is a solid chair based on a Louis IV design, the tranluscency created by the clear polycarbonate gives it a minimalist touch. The Louis Ghost Chair is great as a carver chair for the dining table, as at a dressing table, or in occasional public spaces. Available to order colours (prices on request): E6 gloss black; E5 gloss white; J1 pale smoke grey; J2 straw yellow; J3 sunset orange; J4 crystal green; and J5 ice blue. Please contact us by email: online@purves.co.uk or phone: 020 3397 3723 (Mon - Fri, 9am - 5pm) if you are interested in any of the non-stock colours. We'll be happy to confirm prices and order these for you. In the majority of cases the Louis ghost chair has small thin “flow lines” running down the back of the arms. As a natural characteristic of the moulding process, this is not considered a fault. Any chairs supplied with this feature will not be considered to be defective by us or the manufacturer. The placing of any order by you (the client) will be considered an acceptance of this notice.